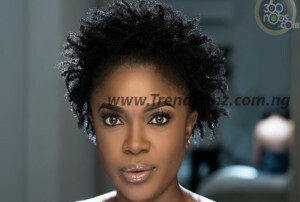 After carefully observing the trend on social media where individuals habitually ask for financial favours from different celebrities among others, popular movie star Omoni Oboli, who couldn’t take it anymore, has come out to have a say on the development. The Nollywood actress was touched to talk about bambiala – a reference to the process where beggars say prayers and beg for money around Nigeria – a movement which is now trending on Twitter, Instagram and Facebook among other, after a particular lady who is notorious for sending messages to people asking for financial assistance crawled into her page to beg for N1,000 so she could feed. “Please can someone help me with just 1k. I’m hungry. I just want to eat. Thank you and may God bless you,” the online beggar had pleaded. In her reply, she wrote the screenshot (above) to her. Still unsatisfied, the actress took a screenshot of the lady’s message and posted it on her page with the below caption.